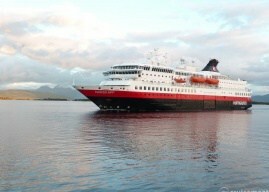 Hurigruten: View their ships, destinations they visit and activities! 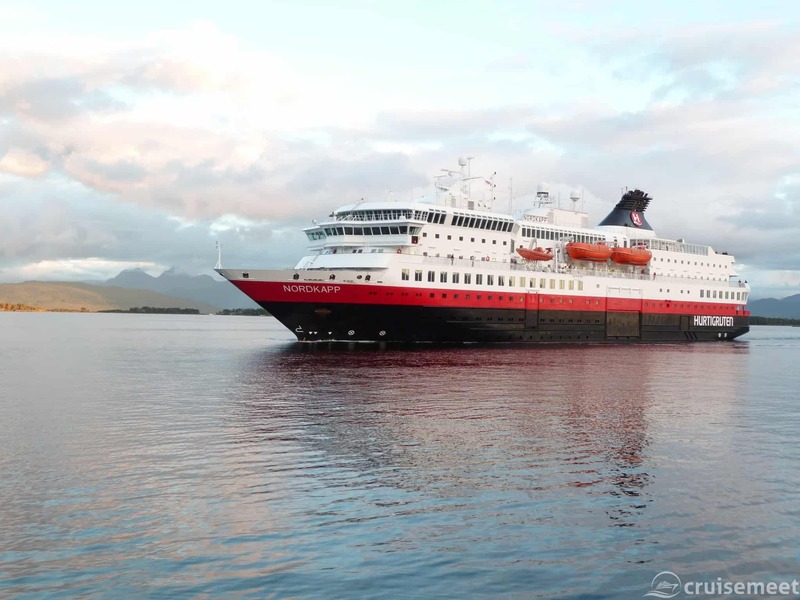 All year round, a Hurtigruten ship departs daily from Bergen in the south of Norway and makes its way along the coast, north up to Kirkenes – a 780 mile journey. At the same time, a ship at Kirkenes also sets sail southbound from Kirkenes to Bergen. The entire voyage takes around seven days in the summer and five days in the winter. This is due to numerous ports not being easily accessible during the winter as some of the fjords freeze over and also shorter daylight hours. During the summer the voyage from North to South or back again call in at a total of 34 ports each way, these include popular ports such as Troms∅, Geirangerfjord, Trondheim, Ålesund and Fläm. During most port calls, the ships drop off post and freight destined for the local area. They are the only shipping company in the world that allows you to ship per pallet rather than per container. Most port calls are concluded in just a few hours. However, there are longer stays where the ship provides excursions for their cruise passengers, they offer over 200 different activities throughout the voyages. Hurtigruten’s two expedition ships primarily operate in Greenland, Canada, South America, Iceland, Svalbard and Antarctica. Their smaller size and ice-breaking hulls allow them to travel to areas where the majority of cruise ships on earth simply can’t visit. As all their ships operate in climates which are either very cold or often encounter inclement weather, none of their ships currently have any balcony staterooms. However, outside deck space is available for people to use if they so wish and many people choose to enjoy the outside space during Northern Light voyages in the winter or the Midnight Sun voyages in the summer. Their smallest ship, MS Vesterålen offers a working-voyage experience – you can learn about navigation, knots and behind the scenes of a working ship as it travels along the coastal voyage. Coastal voyage lovers, winter cruising. Adventures. Families with children. Non-adventure types.